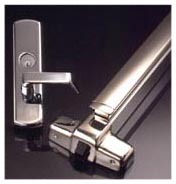 Pacific Door & Closer Co., Inc. has well-established, long-term partnerships with the best hardware manufacturers in the world. Our customers have the benefit of selecting from a wide selection of hardware solutions. Our experienced sales and service staff have a thorough knowledge of each hardware line and can assist you with identifying the appropriate product for your specific application.